A terminating decimal is a decimal that ends. It's a decimal with a finite number of digits. 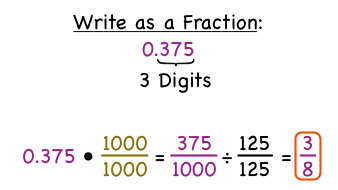 Did you know that all terminating decimals can be rewritten as fractions? Watch this tutorial to learn about terminating decimals and see some examples!